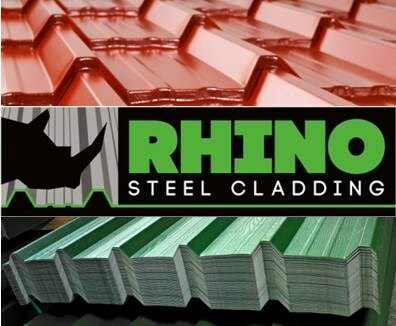 Rhino Steel Cladding are roofing sheet specialists with over 30 years’ experience of supplying and delivering materials. We are a family run business, situated in Whitacre Heath (near Kingsbury) in the West Midlands. We supply the steel trade, the construction industry, the farming community and the general public with galvanised steel roofing sheets and wall cladding sheets, GRP fibreglass rooflights, insulated roofing sheet systems, composite panels, anti-condensation roofing sheets, Z purlins, C section purlins, eaves beams, and all flashings, fixings and accessories to match. Address: The Cedars, Coton Road, Whitacre Heath, Birmingham, West Midlands B46 2HH.